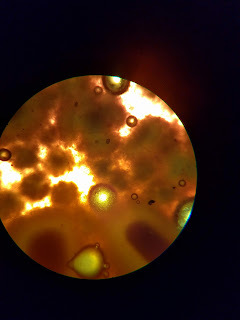 For Christmas, we bought Reed a new microscope and some goodies to go with it - including blank slides. This morning, after my normal breadmaking, I thought it would be fun to look at the dough and yeast under the microscope. 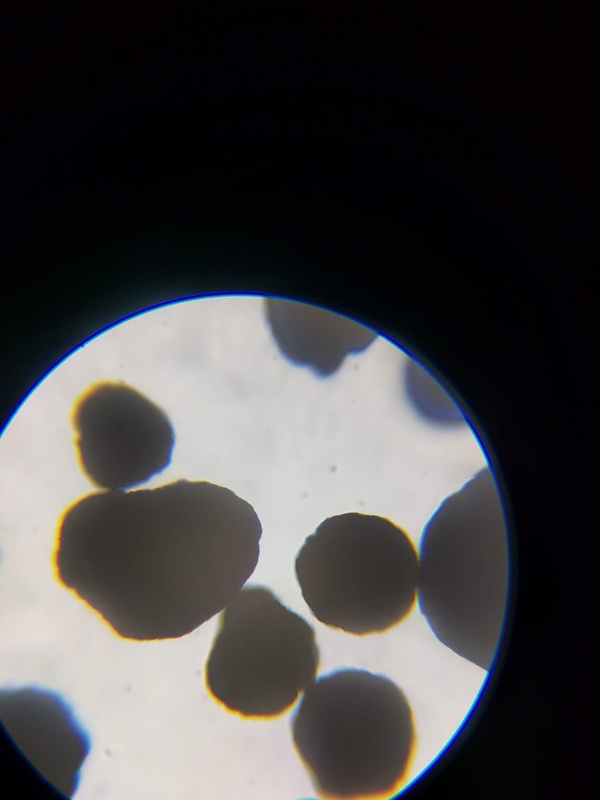 So Reed and I spent a half hour being amateur scientists in our office. 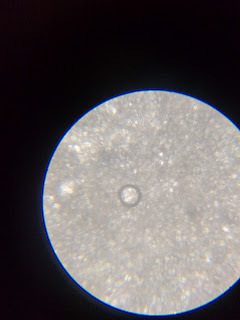 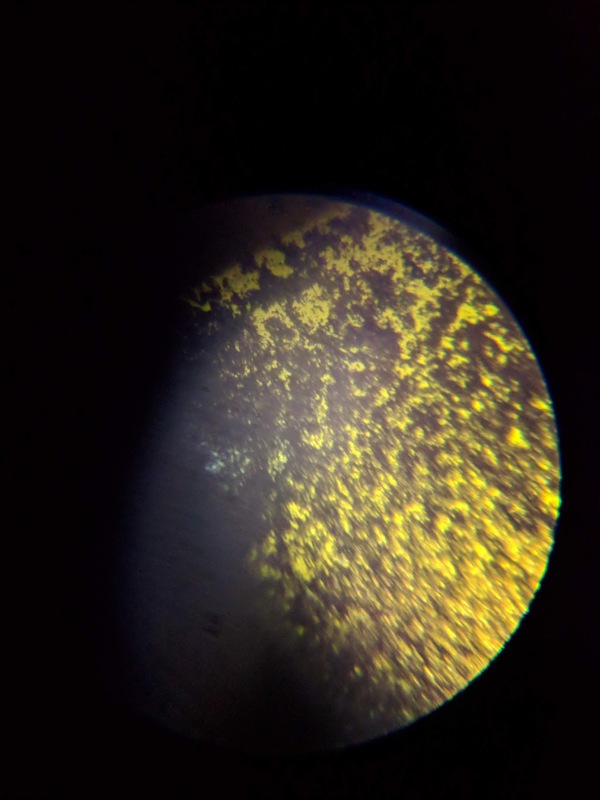 His microscope isn't setup for taking pictures, so unfortunately the quality isn't great.